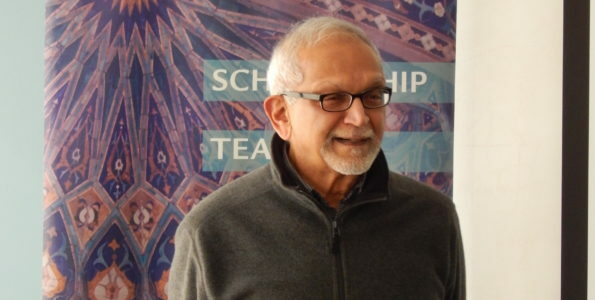 Mahan Mirza is Professor of the Practice at the Contending Modernities research initiative within the Kroc Institute for International Peace Studies at the University of Notre Dame. He is the lead faculty member for implementing the Contending Modernities “Madrasa Discourses” project. 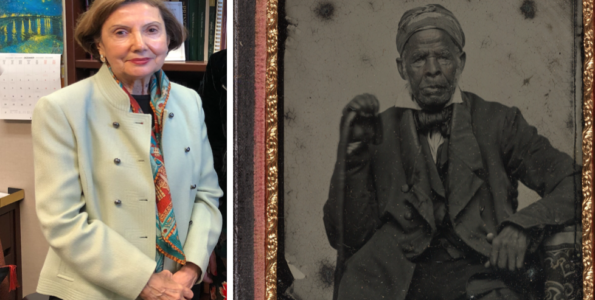 From 2013-2016, Mirza served as dean of faculty at Zaytuna College in Berkeley, California. He has taught courses in Arabic-Islamic studies, western religions, and the history of science, along with foundational subjects in the liberal arts including logic, rhetoric, law, astronomy, ethics, and politics at California State-Chico, Zaytuna, Notre Dame, and Yale, from where he earned a doctorate in religious studies. Mirza also holds an MA from Hartford Seminary. 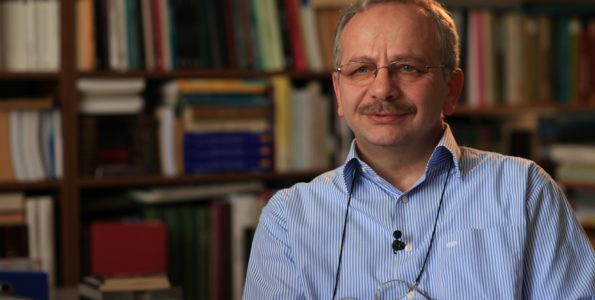 He has edited two special issues of The Muslim World and served as assistant editor for the Princeton Encyclopedia of Islamic Political Thought. This book is not meant to be read. It is meant to be studied. Encyclopedic in scope, subtle in analysis, Islam in Pakistan attempts to define a unique strand of Islam that the author calls “modernism,” tracing its genealogy and relation to the corridors of political power. Modernism is a slippery term, and the book acknowledges the conceptual difficulties from the outset. The nebulous category of modernism becomes even more slippery when we learn that modernism is nothing akin to a school of theology or law, that it is internally diverse, and that it continues to evolve. Nonetheless, certain “core convictions” are discernable (4): modernism is similar to Salafism in that it turns to the Quran and the Sunnah directly for inspiration, yet it is distinct in that it seeks the “spirit” of Islam as opposed to hard and fast creedal formulations or legal injunctions; it is similar to Islamism in that it views the fulfilment of Islam through the constitution and public institutions, yet distinct in that it projects modern liberal values onto the Sharia; it finds allies among the progressive ‘ulama’and often relies on their intellectual labor for legitimacy, yet it seeks to regulate the madrasas under government control; and it cultivates private relationships with spiritual guides or pirs, yet denies the otherworldliness of mystical traditions in favor of remaining pragmatically involved in the affairs of the world, attempting to reign in the sites of rapturous popular piety from any independence of state control. The engagement with these topics is not without nuance. Rich with anecdotes, textual references, and history, the book proceeds thematically. The first chapter sets up the contrast of modernism with other religious identity markers. The second chapter unpacks modernist ethical commitments, the third their relationship to the ʿulamaʾ, the fourth to Islamists, the fifth to religious minorities, the sixth to Sufism, and the final chapter to terrorism and the military. One almost needs to read the entire book before getting some sense of what modernism means, and I fear it remains somewhat elusive even then. The book’s thesis appears most clearly almost as an afterthought in the Epilogue: modernism—although it can be seen and felt through the course of Pakistan’s history—began promisingly, but it has steadily eroded, having failed to erect itself on any kind of coherent or compelling intellectual foundation. This historical trajectory is due to a combination of domestic religious, social, cultural, and political dynamics, as well as due to a web of complex international factors. This book focuses almost exclusively on the former to the exclusion of the latter, which leaves one with a feeling that something is missing, despite the length of this work. The strongest areas of the book are when the author elaborates on the ideas of important thinkers like Fazlur Rahman (d. 1988), Muhammad Hanif Nadwi (d. 1978), Muhammad Jaʿfar Phulwarwi (d. 1982), and Murtaza Ahmad Khan Maikash (d. 1959), who may collectively be called “intermediate intellectuals” because of their capacity to mediate between modernism and the vast scholarly storehouse of the Islamic tradition. A series of policy debates on family laws and hudūd(scripturally mandated corporal punishments) between state-sponsored modernist and traditionalist ʿulamaʾ mark another highlight. Featuring government commissions, arguments relying on appeals to authority, and scathing dissents replete with irony, the pages of this book demonstrate that Pakistani intellectual history has been anything but dull. Mufti Muhammad Shafiʿ, for example, “noted the damning irony that even the British had left the marriage and family laws untouched…Yet, such core Islamic laws were now in peril in an Islamic country” (111). The ironies are many: allies from among the ʿulamaʾ hand-picked by the government end up becoming its most biting critics; modernist attempts at madrasa reform rely on arguments made by their Islamist opponents; madrasas often have better life outcomes for graduates than those produced by public schools; Sunnis adopt Shiʿi slogans when it comes to joining forces to oppose the beleaguered Ahmadis; the persecution of Christians, when covered negatively by the international news media, is seen as proof of Western bias against Muslims; the highly esoteric Barelvis demand scriptural proofs when other groups offer alternative esoteric arguments for their own differing creeds; and high-ranking government bureaucrats hold the same superstitious beliefs their regimes ostensibly align to eradicate among the masses. Strewn about, the reader will encounter gems such as this one by Shabbir Ahmad ʿUsmani, a traditional scholar who, when asked how he could possibly consider himself consistent while supporting the Westernized leadership of the Muslim League, quoted a tenth century mystic Junayd Baghdadi: “the truthful person changes a hundred times in a day [in his quest for the truth] whereas the hypocrite [concerned with keeping appearances] sticks to the same position for a hundred years” ( 210). Casual references to terms such as Karbala or allusions to the Rashidun will frustrate readers with no background in Islam, even when accompanied with an explanatory gloss, though they will delight specialists. The casual reader is to especially be cautioned not to take this as the only book they read about Islam in Pakistan. That title is a misnomer. The book is actually about Islamic modernism in search of institutional legitimacy—which is a story of political leaders in search of intellectual allies. 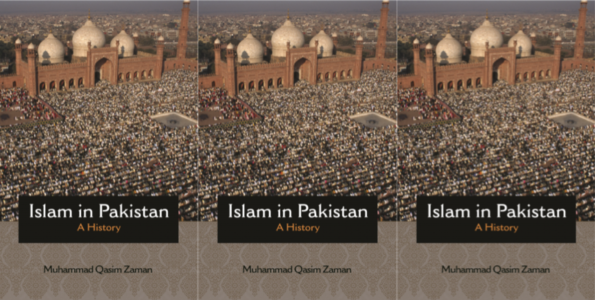 “The modernists have always had strong aspirations,” Zaman notes, “toward implementing their vision of Islam in Pakistan and of reforming Islamic law to that end” ( 102). Some noteworthy episodes relating to this story are regrettably omitted while others are tragically truncated. Take three examples: one from Pakistan’s origins (1947), one from the Ayub Khan era that features prominently in the book (1960-68), and one from today (2018). Khan listed, one-by-one the principles on the basis of which to frame his reform movement, derived directly from the life of the Prophet Muhammad, an Arab living in the backwater of civilization in his time, flanked by the two superpowers of Byzantium and Persia: 1) rule of and equality before the law, 2) progressive taxation for equitable redistribution of wealth, 3) protection of the weakest and most vulnerable members of society (humans and animals), 4) merit based upward mobility, 5) accountability of those in authority, 6) simplicity in governance, and 7) prioritization of education of the citizenry. In his own turn to irony, Khan lamented those who seek the ways of reform and progress by setting their gaze on Western models, while what they truly need sits under their very noses in principles that are anchored in the founding texts and traditions of Islam. Is Khan a modernist or a fundamentalist? What kind of Islam does someone like Imran Khan practice? Why does it carry popular appeal across different religious identity markers? After having read Islam in Pakistan, I am not certain that it helps me to better understand these questions within the conceptual categories that the book works with, let alone arrive at satisfactory answers. There are two passing references to Imran Khan in the book. The first mention is as a “former cricket star turned politician,” a mere sideshow to other more important opposition players like Tahir al-Qadiri. The second mention is as a financial supporter of the Taliban in Pakistan, a reference that comes within the context of a discussion on jihad and terrorism. 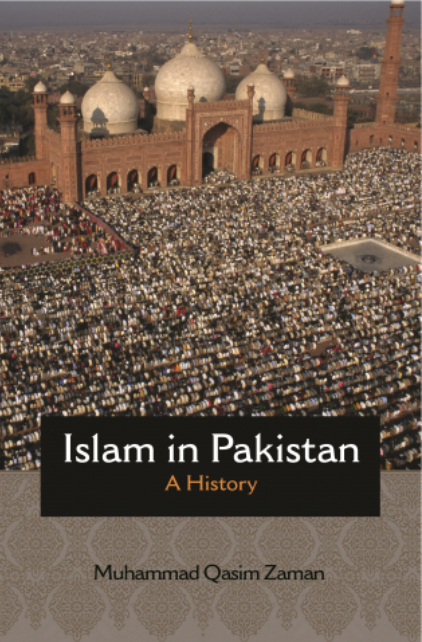 Readers who rely on this book are in danger of coming away with a drastically limited if not distorted view of populist Islam in Pakistan today embodied in figures like Khan. If they read carefully, however, they will find what they need to put a lot of pieces together. Not many will read this book from cover-to-cover. The specialist might view it as a general survey, and the non-specialist too detailed, even incomprehensible without a modicum of domain knowledge of Islam in South Asia. But those who stick through it from either camp will be rewarded with deep scholarship replete with critical insights, scrupulous documentation, thorough notes and bibliographical references, and a helpful index, cautionary notes notwithstanding. 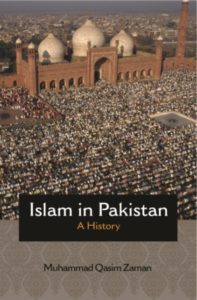 Pakistan serves in many ways as a kind of microcosm of the Muslim world: “All the key facets of modern Islam worldwide were well represented in colonial India and they have continued to be so in Pakistan” ( 1). In tracing the struggle of Islamic modernism in Pakistan, this book makes a significant and important contribution to paving the way for future scholarship in this area.